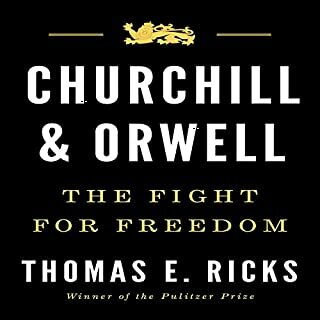 Both George Orwell and Winston Churchill came close to death in the mid-1930s - Orwell shot in the neck in a trench line in the Spanish Civil War and Churchill struck by a car in New York City. If they'd died then, history would scarcely remember them. At the time Churchill was a politician on the outs, his loyalty to his class and party suspect. Orwell was a mildly successful novelist, to put it generously. No one would have predicted that by the end of the 20th century, they would be considered two of the most important people in British history. If you have read other books that recount this time period, you will find the material very unremarkable, and a bit stail. My advice; skip the last 3 chapters. It is well known that Ronald Reagan and Margaret Thatcher were close allies and kindred political spirits. During their eight overlapping years in office, the U.S. president and the U.K. prime minister worked together to promote lower taxes, deregulation, free trade, and an aggressive stance against the Soviet Union. 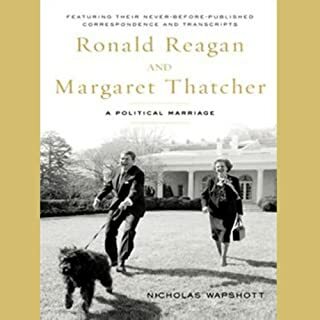 But according to Nicholas Wapshott, the Reagan/Thatcher relationship was much deeper than an alliance of mutual interests. It read like cliff notes rather than being in depth. It brushed over all the interesting issues like a Wikipedia summary of facts. This is not a very insightful book, more like a hurried book report.